Tinago Falls is a waterfall on the Agus River, in Linamon town, just outside Iligan City, Lanao del Norte in the southern Philippineisland of Mindanao. 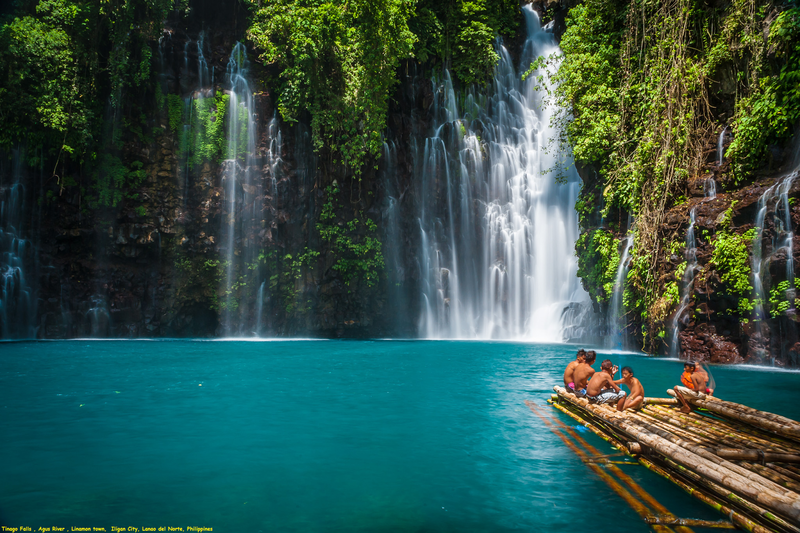 It is one of the main tourist attractions of Iligan, a city known as the City of Majestic Waterfalls. Tinago is a Filipino term meaning "hidden", the falls being hidden in a deep ravine. Trekking to the falls requires approximately 500 descending steps called the winding staircase. The falls is high, its very cold waters cascading beautifully into a deep and calm basin-like pool which appears like a blue-colored lagoon. Under the falls is a small cave where people can enter and listen to the rumbling waters.